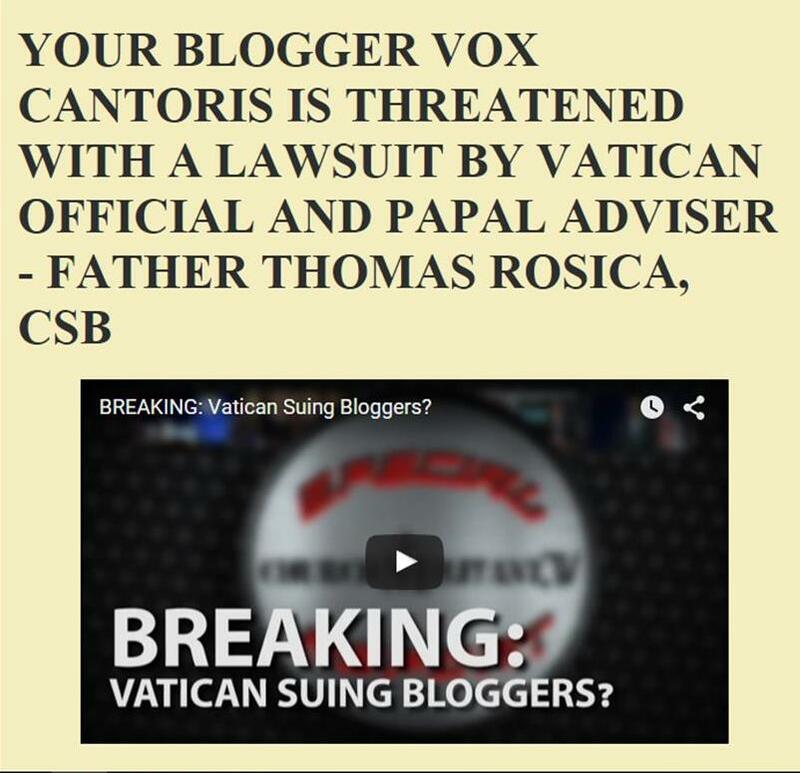 Vox Cantoris: There is more to this story including why it took until it was too late to find any water. There is more to this story including why it took until it was too late to find any water. “God’s Permissive will” - indeed. God bless the French Catholics raising their sorrow to the heavens in song. On Monday, April 15, I wrote intensely about the fire at Saint Sulpice, which I post here (contains 13349 characters, so I paste in pieces). About 3 p.m. (circa 3 hours before the fire of Notre Dame) I tried to put in "le parisien" and "courrier internationale", France, but to no avail - it is not as easy as by the famous "Voxcantoris" in New France. These two conflagrations have a common hero: Saint Alexis of Rome. Notre-Dame cathedral was burned on the eve of Saint Benedict Joseph Labre (+ April 16, 1783), which was a modern copy of the ancient Saint Alexius. March 17, 2019, the Saint Sulpice church, Paris; On Sunday at around 1:40 p.m. a fire flared in the southern transept at the entrance to this great temple. Flames began to cover the adjacent stairs, but the firemen were faster. The most likely source of the fire were clothes left by some homeless on wooden stairs. This anonymous 'SDF', in tandem with Saint Alexis, will allow us to decipher the spiritual meaning of this sign. Let's start with the genius loci. Saint Sulpice the Pious was an extremely zealous bishop of Burges at the turn of the VI / VII century. Among the many miracles he made during his lifetime, the hagiography mentions an adventure with a bonfire lit inside the parade hall at the royal envoy's greeting: when it seemed that the fire was out of control, it went out as soon as Sulpice spread his arms. This is the first connection of this place with fire. According to the French Wikipedia, bishop Sulpice died on Jan. 17, 647. The church dedicated to Saint Sulpice existed here on the Seine River from ancient times, and construction of this present one began on Feb. 20, 1646, when Queen Anne d'Autriche laid the foundation stone. She was the mother of a wonderfully conceived, and for some time regent of the future monarch Louis XIV called the Sun King, and the sun is a fire. Thus, the construction of a new temple began ca. 1000 years after the death of its titular Patron. The pastor has been here since 1642 Father Jean-Jacques Olier. Who was Mr. Olier, as he was commonly called? He was wealthy, perfectly educated man - he only lacked Hebrew to the collection of classical languages. He went to study in Rome for this purpose, but as a result of the disease began to blind. The Blessed Virgin hastened with help - in Her House in Loreto – She broght him not only physical but also spiritual sight: he experienced a personal encounter with God and total conversion! After trying to become a carthusian in Italy, Mr. Olier returned to Paris. Here he met Saint Vincent a'Paulo and took care of the material and spiritual needs of beggars, a group known today as SDF. Saint Vincent himself gave him ordination on May 25, 1633. Mr. Olier came to the rectory of Saint Sulpice, together with the seminary he had established half a year earlier. He gathered around him a group of priests embraced by the spirit of the apostolate, which gave birth to the Priestly Society of Saint Sulpice. In 1639 he co-founded the association for mission in New France (North America), and 2 years later, on Feb. 3, 1641, he celebrated mass in the cathedral of Notre-Dame for excellent faithful intending to go to Canada to found an exemplary Christian settlement, Ville-Marie, which also was realized - that was the beginning of the great city of Montreal. He died on April 2, 1657, on Easter Monday (exactly 150 years after the death of St. Francis of Paola, the prophet of the Great Monarch of the end times). The spiritual sons of Father Olier, sulpicians, have done great apostolic work in New France and throughout the world, spreading the name of Saint Sulpice everywhere. And in Paris the church named after him was solemnly consecrated on June 30, 1745 in commemoration of St. Paul the Apostle (and also Saint Bertrand, Bishop of Le Mans, contemporary to Saint Sulpice - probably they knew each other). The French patron on March 17 is Saint Gabriel Lalemant (*1610), almost the contemporary of Mr. Olier (*1608). He joined the Jesuits in Paris on the Palm Sunday 1630. In the same year, when the construction of the church of Saint Sulpice began, Father Lalemant arrived on September 20 (1646) to Canada as a missionary among Hurons. His superior was Saint Jean de Brebeuf. Captured by hostile Iroquois, they were subjected to ritual torture, probably with the use of fire: Jaen died on 16 March 1649, and on the following day, on Wednesday 17th - Gabriel. Both belong to the group of 8 (Jesuits) Canadian Martyrs. The fire at Saint Sulpice in Paris, therefore, broke out on the 370th anniversary of the birth of St. Gabriel Lalemant to Heaven. Under this March date the Church also mentions the saint Gertrude de Nivelles (+17 III 659), the mystic and abbot, contemporary to Saint Sulpice, guardian of the poor, travelers and innkeepers. I have already mentioned so many great names here, and would miss St. Patrick? The Patriarch of the Green Island also has his participation in this Paris event through his countrymen in New France, more precisely in the Canadian province of Newfoundland-Labrador, where they have a holiday on March17th. Why, however, would Saint Alexis be the key to explain this enigmatic conflagration at Saint Sulpice? After all, in the Roman Catholic calendar, his day is July 17. The Orthodox Christians come with help to us: they worship Alexis on March 17th. Can a fire in a Catholic church be explained by an Orthodox calendar? Yes, because Saint Alexis, as l'Homme de Dieu, pilgrim and pauper, spent 17 years in Edessa, and the next 17 years, until his death AD411, in Rome. So he belongs equally to the East and the West, especially that the Julian calendar in his times was in force throughout Christianity. In addition, there are vivid national Orthodox communities in Paris. in the neighborhood of his home on Aventine Hill in the St. Boniface chapell, and the fame of his sanctity quickly spread throughout Christianity. And so the one who did not reach Tarsus, lies next to the Roman Boniface, who experienced martyrdom and sanctification in Tarsus. Saint Alexis did not return alone to Rome - the Holy Virgin hurried after him in a form of the eastern icon revered in his Roman church (Basilica of Saints Boniface and Alexis) as 'Madonna di Edessa', 'Madonna Avvocata' or 'Madonna dell'Intercession'. The Madonna shown here as Deesis, prays and begets various favors to Her worshipers, but Her main concern in these times is to implore God that we got - the Church and the world - the Second Comforter, the Paraclete. This request is contained in the popular title of this icon: 'Madonna di sant'Alessio'. Alexis simply means 'the Helper', but in the context of the Salvation's history means: the Paraclete, the Son-Man and also the Spouse of the Apocalyptic Woman. This explains why Saint Alexis left his wife to settle in the portico of the Mother of God in Edessa, and why She, as a faithful Spouse, hurried after him to Rome. Alexis, the unrecognized Saint, whose needs and honor Heaven takes care of themselves, is the perfect prefiguration of the Paraclete. Above the sarcophagus of Saint Alexis in Rome, the staircase was placed in a glass chest, under which he spent 17 years. Thanks to them we can get down to earth in Paris: after all, flames at Saint Sulpice flared up the stairs and covered them. Someone could summon the whole event of March 17th briefly: "Some SDF wanted to light a cigarette in silence, accidentally lit up clothes, so he waved", but even this disrespectful sentence would be a prophetic statement, if you remember the Acts of the Apostles [Acts 2, 2-3] : 'Suddenly a noise could be heard from heaven, like a blow of a violent wind, and filled the whole house in which they were staying. They also appeared to them as if from fire, which separated, and one of them rested.' The fire at St. Sulpice lit up red and gilded the whole church, it even began to blow outside through the door and window. It is similar to the miracle of the Sun in Fatima, when the present ones were flooded with multi-colored lights. There were only a few people in this Parisien church, but they could see the famous gnomon in a completely different light. Installed in the eighteenth century, precisely indicates dates of summer and winter solstices, autumn and spring equinox, especially the last one so important for the dating of Easter, using a stream of sunlight passing through the slit in the window on the southern wall and falling on meridian traced and scaled on the temple floor. On Sunday, 17 March 2019, the fire flared up under this astronomical window, brightening the whole space of the temple and the whole year at the same time (on the gnomon's scale). It was as if the sun had lowered its course, as it was at Fatima on October 13, 1917. In mid-October, at the lunchtime, on the meridian of Paris, Antares is located as one of the four Royal Stars. It goes low compared to our Daily Star and theoretically his light could climb higher in St. Sulpice. In Fatima event, with Antares was Venus (see: an interactive stellar map), and Luna left the royal Lion striving to meet with Mercury in Her home (the constellation Virgo): The Virgin Bride and Mother was at the heart of the Great Convert (Antares in Scorpio), symbolized by Fire (Mercury), Water (Neptune), and that He is the brother of Jesus Christ (Mars), and so Saturn, because He must come from the Royal House of David. In the fields of Fatima it was wet after the night downpour, at Saint Sulpice - after the firefighters' action, here and there the Sun drained the scene of events. Let's end this paragraph with a buckle: During the Great War in Portugal, the clocks were shifted back by 90 minutes to equalize time with the main ally, France - this is the reason why we could compare Paris with Fatima. To believers: ask God to reveal the Paraclete; to astronomy enthusiasts: watch Antares, it will burst forth. It is necessary to finish this reading with a large Sulpician buckle. Queen Anne de Autriche, prophesied with the acts of her life: not only she gave birth to the dolphin Louis Dieudonne, the one personally announced by the Virgin Mary herself, than she was a regent until he was 13 able to take the throne of France as Louis XIV de Bourbon 'le Roi-Soleil ', but she has also laid the cornerstone for Saint Sulpice church in Paris, from which, after centuries, the Fire was to come out. Could she have sensed that from her womb - in the chain of generations - the One of whom our Lord Jesus Christ spoke in the eschatological context would come out [Luke 12, 49] 'I have come to throw fire on the earth and how I wish it to burn.' This Fire is a person, it is the Paraclete, the Great Monarch of the end times, par excellence, the real Sun King - very pious Louis XIV, despite all his majesty, was only a royal prefiguration of the Paraclete. The Blessed Virgin Mary, as Sancta Ecclesia Mater Nostra, gives birth to the Paraclete, is the regent to him, until He learns to reject evil and choose good, then She will reveal Him to the Church and to the world as Her Son-Man and the chosen Spouse in one person. In their spirituality, the Sulpicans have a devotion to the Inner Life of Mary, and even set an annual holiday for this occasion on October 19. Does this date say something to someone? French monarchists mention on this day the death of the Queen Dowager Maria Teresa Charlotta de Bourbon (+19 X 1851), Poles - blessed Jerzy Popiełuszko (+19 X 1984). Could this priest from Poland have any connection with the crown of France? Wowee Myron, you certainly have a grasp of history! I wish I knew half of what you do. Looking at the photo of the young people praying the rosary, would that Notre Dame saw scores of such people filling the pews every day, practicing the faith! To see the celebrating by Muslims, who rightly see this as a victory. In what sense could anyone say, France has not been totally conquered. And this will continue, because France cares far more about the feelings of Islam than it does anything else. Expect a crackdown on anyone who dares criticize Muslims, even after Notre Dame has burned to the ground in front of them. Macron and the other globalists will protect the NEW Frenchmen at all costs. The French are about to get some hard medicine, and a dose of reality. It starts with France, but will not end there. Seeing these happy two men (on the first foto above) one would think they were arsonists. But only a fool accuses matches on causing a fire. The real arsonist is the guy from the Champs Elysées who created himself for the new Jupiter. In my earlier entry (SAint Sulpice) there is an acronym 'SDF' - in French it means 'sens domicille fixe', 'no fixed address' = homeless. Thank you for the history lesson MyronM, I really enjoyed it. All we have to do is to look back in history at the most iconic basilica of it's day "Divine Seat of Wisdom" or Hagia San Sophia in Istanbul ,once the most beautiful Eastern Catholic Church in the world until the Ottoman take over. Oddly, despite the politics of the East and West that led to the schism and the suffering and martyrdom Islam has caused ,or maybe because of it , the East has clung to their Liturgical Traditions since the first millenium. Assuming the fire was deliberately intended, admittedly a big assumption, then the quested must be asked, was the intention to destroy the Cathedral, or something else? I suspect the real intention was to remove the holy relics from the building. The conversion of Notre Dame into a "inter-religious encounter space" could not proceed while relics of the True Cross remained there. Pagans and Muslims really fear the Cross, even as a symbol. I have observed such behavior in the workplace. Notre Dame burnt and the Catholic world is on fire with a vibrant faith. President, low in ratings, is likely to see this as an opportunity to regain his popularity and will fly with popular opinion and will not let these French Treasures, belonging to the people of France slip from his grasp. He is already asking I read for a competition world wide for new designs for a church spire. Are we to see a muslim tower paid for by them rising above what once was a Catholic Church? Imagine the outcry now the door is opened from world organizations if the church refuses the design. He will, with the support of muslims and others who oppose religion of any kind, not allow french money to be used for Catholics alone, The rebuilt cathedral will be ecumenical and will even host muslim prayer meetings. Wait and see! Will this pope complain it will suit his program to be seem washing the grand mufti’s feet in what used to be a former french basilica. Our only hope is for us to fund it ourselves. How many Catholic churches n the US have already been sold? The Folieri Group ( real estate ) ,once on Fifth Ave in NYC and run with Cardinal Sodano's nephew's help already ripped off plenty of Diocese of their treasured churches turning them into beer halls restaurants, condos and the like until Raphaelo got caught in one of his scams and went to jail and Sodano's nephew ran back to Italy. These money grubbers had an "in" with the Bishops for first bids in return they gave the elderly poorer parishioners Pharmacy gift cards trying to boost their rep.
Fr Hodge from Camden Diocese was in on the scam and posed as the priest rep in Folieri offices. "As the Church faced fallout from the child abuse scandal, Follieri stepped up to help them unload their real estate properties and convert them into morally agreeable businesses. He hired the nephew of of the Vatican's secretary of state and went around claiming to be a "representative for the Vatican." But Follieri's only real connection to the church was a guy who could arrange to get him a tour of the garden every now and then. But the scam worked! Thanks, as always, to how easily duped the self-righteous rich can be." They think by converting Catholic Churches to "shared places of worship"they can protect them from been destroyed .Their wrong ,many Catholic Churches have been given over to Moslems for worship ,there are still hundreds of Churches been desecrated and attacked in France. The Vatican may be prepared to compromise their Faith ,other faiths are not. The Cathedral of Notre Dame is already the property of the French state and not the Catholic Church. Change the government and you might reverse the loss of Catholic identity in France. Seems Macron's regime is pretty adroit at blasting yellow vests with high velocity water on the streets of Paris over the last six months. But they couldn't manage to get water on Notre Dame for two hours. Seems like the MSM and most people don't care. The images of the Catholics praying are very touching really. It is obvious their hearts are broken and they are worried. How I wish we were leaving them a safer world. All we can leave them is advice, stay close to Jesus Christ and defend your faith.